The short walk to this expansive cascade waterfall is a beautiful one through a forested trail and over bridges that crisscrosses a stream. It’s an easy hike from the parking lot on Wilson – making it a great spot for kids and family. 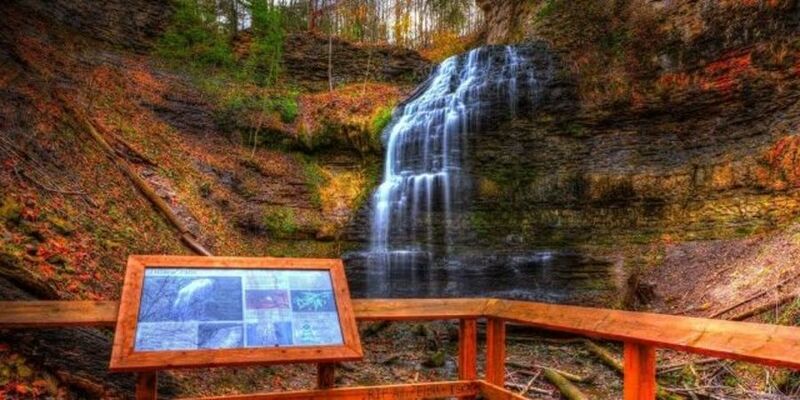 There’s also a connection to the Bruce Trail if you’re up for a longer hike.